This transcript is here on www.acandyrose.com with special permission and thanks from "Snicker" who transcribed this radio audio file. ROE CONN: Alright, stepping into the studio right now is a man that . . . well let me try and set this up and ah Harry explained to me . . . this is a man named Harry Smith. He is an attorney from Chicago, who was the attorney for Kathleen Savio prior to her death. He was the divorce attorney who represented Kathleen Savio in the divorce from Drew Peterson. He also is a man who had contact during that and subsequently with Stacy Peterson. And we want to hear your story because this is a story that we have not . . . you're name has surfaced in a few places but no one, you have not told your story to anybody here. And I think that it is a unique one and I want you to be able to tell it. First of all, when were you hired by Kathleen Savio as the attorney? HARRY SMITH: You know I think, I think the beginning of all of this and I want to say "good afternoon Roe and thanks for having me." 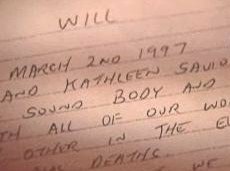 And the story we're talking about is already told essentially in court records and documents and I think maybe I just have a good overview because I was involved throughout the entirety of that divorce case and then after Kathleen Savio died and until today. 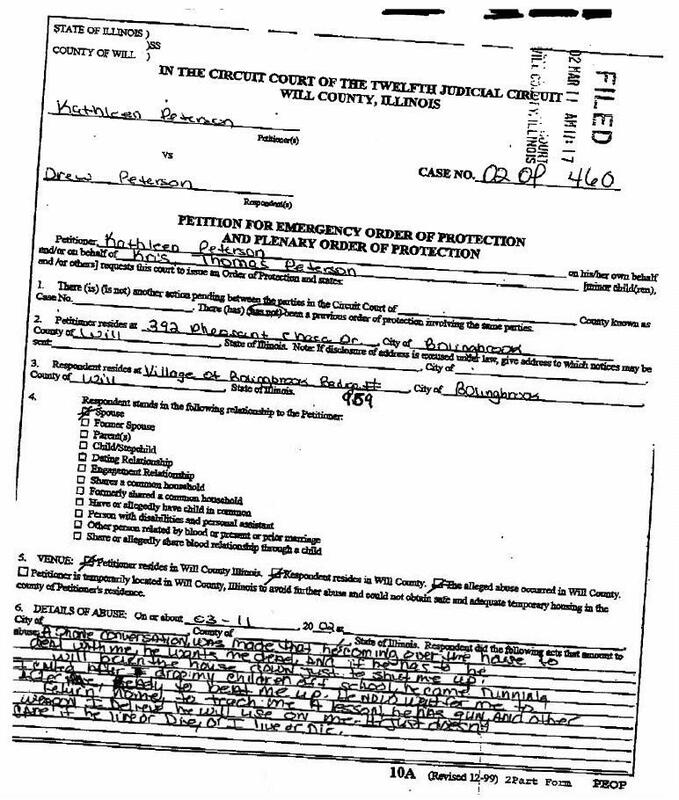 But originally Kathleen Savio came to see myself and my partner Brian Grady about an Order of Protection she obtained in Will County and that was against Drew, and then subsequent to that, the divorce was final. RC: And, and how, how long before it the divorce was final did she come to you about the Order of Protection? RC: Did she ask you to obtain the Order of Protection for her? HS: She had gone and gotten it by herself and then we had gone in and represented her on it subsequent to her obtaining the Order of Protection. RC: And at that point had she moved out of the house? Or what did, what was going on there? 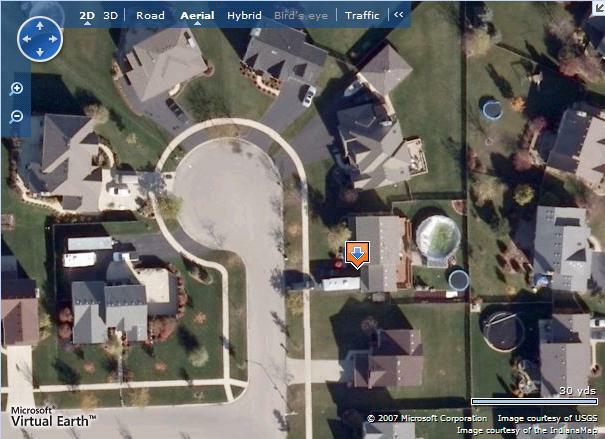 HS: Well, it's a little different here, but actually Drew had purchased a residence in close proximity to the marital residence where they lived with their children at the time. So he was living nearby . . .
HS: . . . shortly thereafter, so they had two separate residences within the same community. RC: OK, and she, why had she asked for the Order of Protection? HS: There were allegations of um, um, domestic strife, I guess, and ultimately that was resolved by an Agreed Order in court. RC: OK, what does that mean? HS: You know, at that time Drew, until very recently Drew was a police officer in Bolingbrook and he was not able to, at least our perception was, continue to be a police officer with that active Order of Protection against him in the State of Illinois, therefore for him to continue to work that position and carry a firearm and do his job, that Order of Protection could not remain in place. We discussed the fact that we had to consider that and we discussed the fact that the divorce was pending and tried to reach an agreement to dismiss that Order of Protection and have Kathleen remain in the home and have exclusive possession of the residence so they resolved that issue together. RC: OK, and in your dealings with Drew Peterson during the divorce--obviously anyone who's been through a divorce, generally your spouse, your soon-to-be ex-spouse's attorney is never your favorite person on the planet Earth. Ah, but did you have, ah, but did you have any kind of extracurricular contact with him, or was there anything that happened with him that gave you any kind of pause? HS: You know, I saw Drew quite a bit during the course of the divorce and you have accurately depicted the relationship between attorneys and sort of the counterpart spouse. But no, I had some real rational conversations with Drew and he was interested throughout the course of the divorce in trying to get it settled and of course we didn't share an agreement as to where that was all going to go, but it was never anything unusual other than the normal strife. Sat through some, some hearings with him and waited around in the hallway for some criminal cases to start, and these are some intense subjects. And I think that him being an police officer probably played into the fact that he was really calm, understated, and under control during these proceedings generally. RC: Ah huh, and then when the ah, when the divorce actually went through did, did ah was there an actual trial or just an agreement that they came to to strike a deal? HS: This divorce never actually went through in the sense that you're talking about. We did something called a bifurcated divorce, without getting too technical. There had to be a divorce in name and on paper and on the grounds of irreconcilable differences. My client and Drew Peterson were divorced but the case and just about every other issue other than the grounds for the divorce remained alive and open for litigation. RC: So the, the separation of property which is generally done in a divorce was all outlined but . . .
RC: OK, so do you know the date of the divorce? I'm like an attorney, I'm like examining, it's like I'm cross-examining. Tell me if I'm doing a good job here (chuckling). HS: This is outstanding work . . .
RC: Thank you . . .
HS: . . . on your part. RC: Thank you. I'm like in "moot court." RC: OK, so what was it? When were they actually divorced? HS: I don't remember. I don't remember the date of the entry of the Dissolution based on grounds alone. I don't recall that. RC: OK, and that's what that instrument is. HS: The litigation continued after that. RC: Alright. And then how soon after that was she found dead. HS: You know I don't know the exact months, I've had to recount that a couple of times over the last few months as people have talked to me about it, but it was some months afterwards. RC: Ten months, under a year. HS: Yeah, six, seven months, something like that. And we were, you know, we were in court still trying to work out issues of child support and maintenance and property distribution and all sorts of issues. RC: Now why did they agree to that? It's interesting that deal because generally you want all of that wrapped up in advance, why . . . Why would there be some reason not to wrap that up? HS: There was a very serious reason in this case. Ah, Stacy was going to have a baby and that was without health care coverage. And, uh, everybody at some point sort of sat down and said forget the anger and sort of all the other strife we're dealing with. If he's not married to her, she cannot get onto his insurance coverage and they were going to have this child without any health care benefits. So I talked to Kathy about that and she realized that wasn't an appropriate thing to have happen either. She understood that all her rights and interests in the divorce and any division of assets and custody of her children would remain open and litigatable issues and so she said, "OK. We can get divorced on these grounds." And ultimately for all the . . .
RC: So basically . . .
HS: It was a magnanimous act to say "OK, we'll agree." RC: So do we understand that at the point at which they decided they were going to get a divorce Drew had presented a pregnant Stacy Peterson into this situation and said "hey I gotta go do this?" HS: Stacy was involved throughout because she was a witness to . 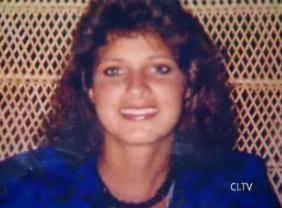 . . she was a victim and a witness to criminal charges against Kathy Savio. She was . . .
RC: Let's go back and explain that because that's already been out in the, in the record a little bit. 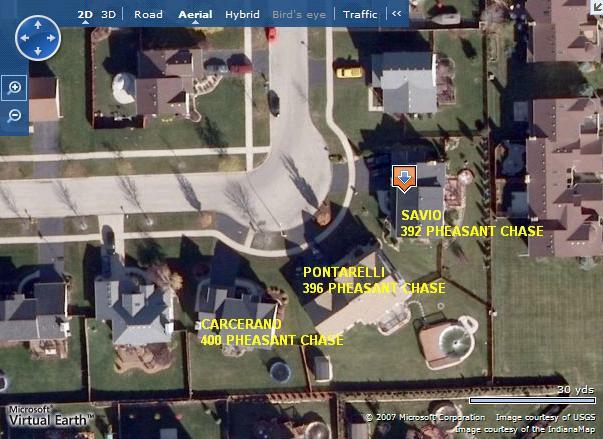 They had had, there was a confrontation between Kathy Savio and Drew Peterson uh, in a public place, right? In a parking lot? HS: There were a couple and one of them resulted in a charge against my client for domestic violence to Drew, I believe, and one of them resulted in a battery charge between Kathy and Stacy. And so there were two criminal charges and so Stacy was a part of this litigation throughout. RC: OK, so Stacy had ah pressed a charge against Kathy Savio, ah, for what hitting her or something? Is that right? RC: OK. And then so that's how she became um, and this is the important part of the story because this is how she became familiar with you, was through this case, right? HS: No, I would say even prior to that Stacy had come to court with Drew, whether it would be for support or whatever, but I don't think there was ever a time when people denied that Stacy was a relevant part of the situation. So I had had contact with Stacy and she had been in court prior to that, but then certainly she became more heavily involved than people are aware because she was there and you know, physically she was pregnant. That wasn't something that surprised anyone - we knew that that was coming. RC: Alright, and so ah, they get the divorce and everybody agrees to it. That seems to be the prudent way to go at least. RC: Ah, they get the divorce and now again you have all these, including all the property division too, issues and, like you said, maintenance, support, maintenance for the . . . in Illinois there's two different payments you can make. They don't call it alimony anymore. There's child support and there's maintenance, which is technically the same thing as alimony that you pay to a spouse. All of that stuff, all of those dollars out there, how was Kathy Savio living at that point? HS: Through temporary support from Drew. HS: There was a temporary court order in place that provided for an amount to be distributed to her for child support, for temporary maintenance, um . . .
RC: Was this a significant amount of money? HS: No. No, I mean his salary was not outrageous as a police officer. I don't exactly remember what it was at the time, but it was -- nobody was living well at that time, you know it's two . . . whenever two households arrive out of one, it's never going to be . . .
HS: . . . it's never going to be the best case scenario. RC: Right. So was he already, . . .
HS: It's . . .
RC: I'm sorry Harry, but was he already paying some kind of alimony to wives number one and two as well? HS: You know, it's funny, I believe and my recollection of it is that he had custody of, from his second wife, the children, so he wouldn't have been paying anything on that and I don't recall ever hearing that he had a prior court ordered obligation to pay anything, but he may have. I might be wrong. HS: But I don't recall that. 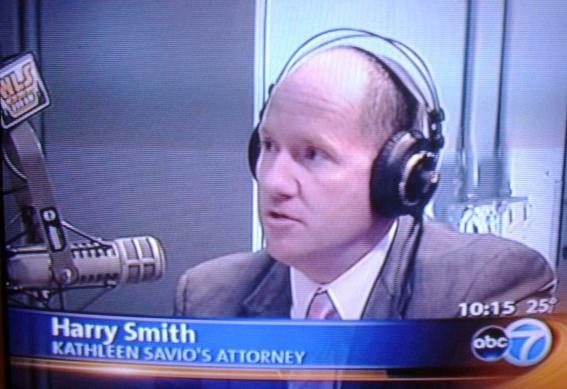 RC: We're talking to Harry Smith, he's the attorney for Kathleen Savio and also had some contact with Stacy Peterson right before her disappearance and we will talk about that in just a second, but just to set the table here, so. RC: Alright, so we have this divorce, are you continuing to negotiate a settlement to divide the assets here in the period of time in which Kathleen Savio was still living with this temporary agreement before she died? RC: Alright. And on the day that she died, let's go to that. You are clearly, you're contacted at some point not too, not too far after her passing. What was your thought immediately? HS: Um, natural reactions, I'm sure. And I felt horrible for her family and her children because I had seen them on several occasions in court and that is an awful thing. Um, it was a little different, because in this situation my client had reached out in writing and orally, not only to me, but to others talking about a fear that something like this could happen. So it was a little more ominous, you know, to hear that she'd actually passed. RC: Had she . . . she had written you letters concerned that Drew was going to kill her or hurt her. HS: She had. I had a copy of a letter that she had sent to some other people and she'd written some letters to me generally that did talk about that. RC: OK, so there was . . . she was fearful and this was . . . was this in that period of time after they were divorced, but before she died? RC: This was before she was divorced? HS: This was throughout the entire time period. RC: OK. And how many of these, ah, um, "letters from the grave" were there, would you say? HS: There's a lot of them. I mean, it wasn't always a letter saying "I, Kathy Savio state . . . " That's not how it went, but there were allusions to these fears in correspondences to my office. This is certainly in the letters. I think it was out there that this was sent to a couple of public officials, um . . .
RC: And does it say he would make it look like an accident? HS: Yeah, that was sort of the tenor of it and, you know, it's tough because there are many allegations that occur in the course of a divorce case. So it's . . . sometimes you hear that and put it aside, but she did persistently make those claims, that's, that is correct. RC: OK. Now let's um, let's flash forward here. Now she has passed away and we have Kathleen um, and her family, are they coming to you? Are they saying, "hey this is an issue we don't think we got closure on?" HS: There were several people surrounding her that I talked with shortly after she passed that certainly, um, felt that way. And you know it's interesting that you say "closure" because my original perception was "well, that sort of ends everything and the litigation is over and whatever may happen outside of that may happen" and it turns out that wasn't the case. And the case law indicates that when you enter a bifurcated divorce, when you get divorced on grounds only and you reserve all these other issues, it turns out the divorce was not over and now there was a separate estate representing Kathy's interest in the divorce, that still had an oppositional position to Drew, so it was a very odd situation. RC: Alright and now that is the problem because what we have here is mulitple, multiple, multiple layers of people who have a vested interest and that is what I want to get to. They have a vested interest in how what the outcome of that is going to be and I, if I were Drew Peterson's attorney, God forbid, I would be concerned, you know, I would make the argument that "hey, this is the problem that we have here - that there is um, that all these people have an interest in this dollar amount so they are going to say anything about my client." Did they come to you? Were you in contact with, he, he didn't have Joel Brodsky at that point? HS: No, a great guy named Alex Beck was doing the representation at the time that Kathy passed and, you know, and he and Drew, quite honestly, see, I think they believed the way I believed and came to court shortly after Kathy had passed and I think they wanted litigation to be done and had filed a motion to essentially finalized their dismissing the remaining counts of the divorce. And I think they were thinking as I was that the action was over. HS: And then the judge and myself and Mr. Beck came into contact with the law and realized that wasn't the case and realized that wasn't the case and now we were all of a sudden standing there with an active divorce case with only one client remaining. RC: Alright. Um, and now let's move forward a little bit and then we'll come back and fill in some of the details here. There is a point at which you again have contact with Stacy Peterson in which she is contacting you about representing her against Drew Peterson. Is that right? HS: You know, oddly as I was thinking about this today as I was coming down here, I think I may have had contact with her maybe a year after that whole proceeding finally wrapped up because she had referred me a couple of clients, strangely enough. And I had contact with her very briefly . . .
RC: She had referred, now wait a second, let me see if I've got this right. She, she, she actually had um, she had pressed charges against your client and yet she's, for hitting her, and she is now coming to you and saying "hey, I've got somebody that needs your help." HS: It's probably not as unusual as you might think. And honestly, her and Drew throughout the case did not, didn't really have anger with me, so . . .
RC: So it was just about knowing a lawyer. HS: I think that's probably true. And so yeah, she referred some litigation work to me - some small stuff that I did. And then, yeah, I did hear from her, and now I can't remember the date, but yeah, a couple of months ago. RC: Those recommendations didn't seem strange to you, Harry, at all? HS: It's not all that odd. HS: I was a prosecutor for quite some time in DuPage County and when I left the State's Attorney's office . . .
HS: . . . a lot of the people that I had put in jail sought me out to represent them. RC: When's the last time you talked to Stacy Peterson? HS: I'm sorry I don't remember the date. I can tell you that it would have been the Friday before she disappeared. So she disappeared that weekend and I believe it would've been Friday of the week before. RC: And what was the substance of that conversation? HS: Ah, you know, there's a pending investigation, and out of respect to her family, and to Drew, and to their children, I'm not going to talk about the substance of that conversation, but, in fairness, without . . . I don't think it would be a shock to anybody, she did contact me for information regarding a dissolution of their marriage. RC: So wait, wait, wait - so she was, so in your opinion she was seeking a divorce on that Friday before she disappeared. HS: She at least wanted information about what the possible results were and how it would go, I suppose. RC: OK, so she' seeking information. RC: Harry, you had spoken with her in the past you had said. Did you notice anything, without going into specifics, was there anything dramatically different in the way she conducted herself? HS: No. I wouldn't say . . .
RC: Didn't seem desperate in any way, shape, or form? HS: Absolutely not desperate. Not desperate. HS: Just wanted information and wanted to know. RC: OK. And we don't know if she had contacted Drew about this, and did, is there any way your could indicate to us that Drew knew whether or not she was seeking a divorce? RC: Would you have any way of knowing that? HS: Um (hesitating) I don't know if when she first called me Drew was aware of that. My guess would be no, but there was nothing specifically discussed with me that would let me know that she may have discussed it with Drew before. RC: I think that puts you in the timeline of being the last person not in her family and not Drew to have had contact with her. HS: That was an odd feeling that I had on that Monday when I saw the State Police bulletin. RC: And then what was your reaction? Your human reaction? HS: Sure. I was, like everybody, shocked. No, I should not say that, like I would be because I had this odd feeling that I had been through this once before. And that's, you know, a natural reaction and after that I just got ahold of the authorities and made sure I cooperated with what was going on. RC: OK, and now why is it that your story has not been prominently told at this point? I mean here we are months later into this investigation - you seem to be probably be one of the most central figures in this in terms of contact and being able to sew the entire story together, why are we hearing right now from you? HS: I suspect some of the information I have are documents and court dates and rulings that would have been available to the media and they can see that through the court file. I suspect that maybe nobody was aware of up to this point that I spoke with Stacy at all, so that might have been part of it. That might be a little nuance that some people have missed. So and I . . .
RC: Are the authorities aware of that? RC: Authorities are aware that you spoke to Stacy on that Friday prior? RC: And that she was seeking information about a divorce? RC: Alright. And they . . . can you give us any insight as to why this investigation has gone as slowly as it has? Clearly, without finding Stacy Peterson in some shape or form, clearly that has, um, um, that's one answer to this. But beyond that, and maybe now that the Kathleen Savio change in the status of her death, do you see this moving any faster than it has already moved? HS: No, but you absolutely just described one of the reasons, and that is that Stacy has not been found so there are no presumptions that can be made by anybody at law. And secondly, um, there's a lot of time that passed with the Kathleen Savio situation and obviously it would take a lot of time and money to have experts go through this and without being "cement heads" about all this, it's got to be relevant in all this that Drew has a family he's still trying to raise and these presumptions are swirling everywhere out there and I think there's been a lot of factors that have slowed this process. RC: Do you think that it's been a very, very fair attempt to gather facts? HS: I think Jim Glasgow is doing everything he can to . . .
RC: Will County State's Attorney. HS: That's correct. I think he's doing everything that he can to be diligent in this circumstance. RC: Alright. Don't move. And I mean that. Don't move Harry. Harry Smith is with us. He is the attorney for Kathleen Savio and he is also the attorney who had the last contact an attorney had, we believe, with Stacy Peterson before she disappeared. She disappeared on a Sunday, he talked to her on a Friday where she was seeking information on a divorce. This is new information that you are hearing here for the first time right here on the Roe Conn Show, so thank you for sharing this with us first. But clearly, I think this is a game-changing situation. RC: Back to the action we go. In the studio with us is Harry Smith. Harry is an attorney, ah, a family law attorney, and he was Kathy Savio's attorney, ah, who represented Kathy Savio in the divorce from Drew Peterson, also represented her in the cases in which she was accused of um, hitting Stacy Peterson. Right? You represented her in those as well? HS: I'm pretty sure, I don't think it was two cases were Stacy was the victim, I think it was one where Stacy was the alleged victim and one were Drew was the alleged victim--so it was probably a domestic violence charge on one and then a battery charge on the other. 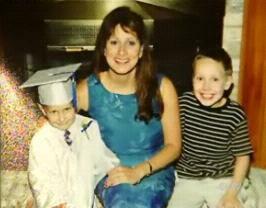 RC: And the piece of information that we are learning today for the first time is that she had contacted you on the Friday prior to her disappearance seeking information about a divorce from Drew Peterson. HS: It was Wednesday and then another brief conversation on Friday, that is correct. RC: Alright, to the phones we go. Doug, you're on, hi Doug. Doug: Hi. I was wondering, was the coroner's inquiry aware of the recalled, rescinded restraining order, and of the you know, of the written out, you know, fear of threats that she had? RC: OK, let's go back and discuss that a little bit. We were talking about that, that coroner's inquiry into the death of Kathy Savio, when it was assumed that she had drowned in the dry bathtub, and they had come up with, with, with their findings, in which they thought it was an accidental death, were they aware that she had written to people saying that, that ah, saying that she thought that Drew was going to do her harm. HS: You know my, at the time that the State Police were conducting the investigation into Kathy Peterson's death my partner Jay Fuller had compiled everything that we had to give them, but I don't know that Jay ever gave anything to the coroner. So unless the coroner was somehow working in conjunction with the State Police investigation -- and I should also say that I did not testify at that coroner's inquiry, inquest and am not privy to what happened -- so I don't know all the information that was given to them. I would assume so. RC: Now, why wouldn't you have? Why wouldn't information that you had have been relevant to them? HS: Well, I mean, hearsay's admissible, so someone certainly could have forwarded whatever facts they gathered through the court file or through me, ah, to the hearing. That would have been possible. That information could be delivered from another person, so I would not necessarily be present for something like that just because I was the attorney for the divorce. RC: OK, and, and do, do you think that now that, now that they go back and they look at that there was just one of the -- and let's explain this a little bit, in Will County it's a coroner's it's, it's a jury, it's a number of medical examiners who look at this information, right? HS: That's only my understanding, correct. RC: And that they then ah, they then come up with a concensus about what happened. One of the jurors, one of the ME jurors on the inquest ah, just last week apologized for his taking part in it. Saying, "hey, you know what, we should have looked hard, we should have, you know there were all these, there were all of these things that, that, that we saw, um, and we weren't quite sure about, but, but we really couldn't put it all together." It's basically, I'm paraphrasing here, but that's what he was saying, "we couldn't put it all together to come up -- and we didn't have enough information to come up with a determination of homocide." And again, I think we need to be clear here that homocide does not necessarily mean murder. Homocide means death at the hand of another person, murder is a legal charge that has to be, you know, a jury has to determine whether somebody was murdered, right? RC: That's something that's important to say, we always, we always make that clarification. So now, in this, so now that it has been, so now, now that the news has come to you, Harry Smith, that this is a homocide, what is your thought about that? HS: You know, only, only that somebody else, another group of professionals have either taken a more intense look at it, or a different look at it, and what I, my perception of it probably isn't relevant because I haven't been invited in to offer anything to that and, but um . . .
RC: But, but you had, and we established this during the last break, that that you had seen correspondence in which she was fearful that Drew was going to do something to her. That, that, and we are all now aware of a story that she had told to her relative that if something should happen to me, it's Drew. HS: You know, my personal feelings or perceptions on it are, are from a position of an attorney on this case, but I am going to agree with you that yes, Kathy Peterson Savio thought that Drew was going to kill her. Yes, I'm going to agree with that statement because certainly a lot of people heard that alot. RC: As her attorney, you would, having represented her and based on your experience with her, you believe that. HS: I, what, I don't believe it, I know that that is what she was saying consistently. RC: And what is the, now that we are on the other side of the, of this piece of information, is there a way, I mean, in terms of a court trial is there anything that you can add to a potential trial for her involving her death? HS: I'm not sure. And obviously those are decisions that ah, the Will County State's Attorney's office would have to make. RC: And you've handed over everything, all the paperwork to them, right? HS: I've cooperated with them from the beginning of this issue. That's absolutely correct. But that, what I can offer, as I've already said, are things that are in the public record. I can certainly support the concerns that I believe they are already aware of on behalf of my client, so I don't know. I don't know if they would have specific use other than that for me as a witness and you know, being a former prosecutor, I don't know that I would. RC: And that, that, it seems though to me, if I could just talk to you as an observer here as opposed to as a participant for a second, it seems to me that there's been so much double, ah, second guessing of what's happened here in terms of how long it has taken, certainly there has been a ton of second guessing which led to the, the, the reinquest, the, the, the death inquest to change the determination of Kathleen Savio's death that now these guys are constantly on their heels -- everybody who's involved in this case on a professional level are constantly on their heels trying to figure out where the next press release is going to come from or where the next witness is going to pop up from, so what's going to happen there to make them, to push them toward this? Do you think that there has ever been at any point, um, any reason that anybody slowed anything down because Drew Peterson was a well-known law enforcement officer there in Bolingbrook? HS: Not involved in any of the investigation that I've now seen since Stacy's disappearance. And not involved involved with the State Police that I spoke to at the time that Kathleen Savio had passed away. 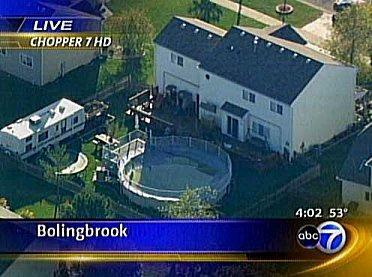 RC: So you don't, so it never came up that Drew Peterson was a cop in Bolingbrook and that was . . . other that the fact that . . .
HS: Only that it was so inherent to this whole situation and other than the fact that it was awkward for, you know, sort of everybody being there doing criminal trails, and Drew too, I mean he's standing in the hallway, getting to go in to be a victim in a battery case or a witness to a battery case in a courthouse where he's got to practice and be a witness professionally, I mean, there was always some sort of sense of awkwardness for everyone because of his role as a police officer. But, you know, he went through the same process that everybody goes through and wasn't treated any differently, certainly in those circumstances, you know, he testified and it all went the same way. RC: OK, let's go back, let's go back to the end of the story here for a second, ah, Kathleen Savio is now divorced from Drew Peterson, although they do not have a financial ah, reconciliation of, of their assets, right? RC: They have not at this point, the assets are still not divided and there is a ah, there is a will, right? There's a, Kathleen Savio has a will that is now being contested, but the signature is not, ah, I'm not sure if it's officially a will or if it's a determination of . . .
HS: It's a, it's a, I mean, no. Right after she passed away that was not there. I recall. 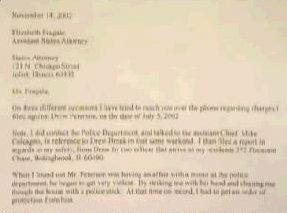 So obviously, but this is my memory to it, and I recall Drew's attorney making representations that there was a will. . .
HS: . . . but it did not surface for a long time. RC: You had not seen this will. RC: As her divorce attorney you have not seen the will. RC: Would you, did you ever ask her about a will, to your recollection? RC: Did she say she had one? RC: She said she did not have a will. HS: I seem to recall that she said she didn't have one. RC: So she doesn't have a will and all of a sudden one pops up with a signature that doesn't look like her signature that had been established on all kinds of other legal documents . . .
HS: I don't know that. To be honest with you, I don't know that. RC: Well one pops up. HS: Certainly a will was presented. It was presented in Probate Court very . . . naturally Richard Kavanaugh was the attorney at that point in time for ah, for either the estate of the children, or he had a function in it with me ah, ah, and a gentleman who I believe was Drew's uncle [James B. Carroll] came to court and was the executor or trustee of the estate if Kathy were to pass on the document that they had and at that point in time, you know, several months after her death I was dismissed at attorney for the estate because he was now the person in charge if the estate and didn't wish for me to pursue the case any longer. RC: OK, and was he hired by her family? HS: I, I, you know, I have no idea. When you say "hired" I shouldn't say that. I know that he wasn't hired. He was, he was named in the will is what the allegation was. The uncle of Drew, is that who you were asking about? Yes. He was just there saying he was the executor or trustee of the will and I'm . . .
RC: OK, Kathleen Savio, Drew Peterson's ex-wife, Drew Peterson's ex-wife's will states that Drew Peterson's uncle is the executor of that will. HS: Yes, now in fairness . . .
RC: And that, and that has a signature, and I'll say this, you don't have to say this, that has a signature that everybody has now called into question as to the veracity of that signature. So, if, if, if it is a signature, that, that people are looking at just, just citizens are eyeballing, rank amateurs are eyeballing it and looking at it and saying "that doesn't look anything like her signature" let alone what experts will say. Um, the, the, that document is the only document that ties up those assets. HS: It resolved the issue of a continued battle between Kathleen Savio's estate and, I guess Drew's interest in the divorce. It resolved that because now his uncle controlled that estate and I guess his uncle could have continued to disagree with Drew, but my impression, and I was out of the case at that point, is that they resolved those issues. And I do want to say, in fairness to Drew, he was on that will as well. In other words they executed a joint document that said if something happens to one of us or both of us, Drew's uncle will control the estate. It's not as if it was just a document, I believe . . .
RC: But they had already been divorced. Did they have, to your knowledge, did they have did they have a good working relationship after the, after the initial divorce? HS: They did not have a working relationship from the day I met her. RC: And so in those months between the divorce and her death, do you know if they have contact? HS: You see we were still in court every week after what you're calling "the divorce" because it was just a Judgment of Dissolution entered on grounds. We still had to have a hearing regarding and all sorts of issues regarding discovery and ah, deciding child support and maintenance, that was all still out there. He had a pension that had to be attached. And so the litigation continued and no, they had no working relationship. RC: They had no working relationship. RC: OK, and so was there any kind of restraining order? 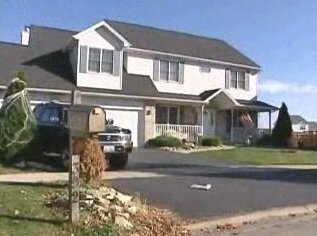 HS: I think the only thing that remained in place was that she had exclusive possession of what was determined to be the "marital residence" where he had lived with her before he had moved into the residence with Stacy. RC: So do you know if ah, Kathleen Savio had any contact with Stacy Peterson in that period of time? Cause Stacy, they had, at that point after the divorce, how soon after the divorce, do you even know this, did, did Drew marry Stacy? HS: It had to be almost immediately after we entered the bifurcated judgment because they needed to get the, I believe, my perception of what his attorney told me was that they needed to get medical benefits in place, so it was almost immediately after . . .
RC: For her baby, Harry? For the health . . . yeah. HS: Yeah, for the child. And when you say, "did they have contact?" In fact, no, they would not have seen each other out in public, but they would see each other in court all the time. RC: OK, and that was, was that an anomous relationship at that time? HS: Yes. It's probably natural. If you can imagine the circumstances, yes. RC: And there had already been an assault charge, or a battery charge. I'm sorry, a battery charge. HS: They had a fight. I mean a real fight. So yes. RC: Where punches were thrown. RC: Yeah. Alright. And the ah, alright. And, and now . 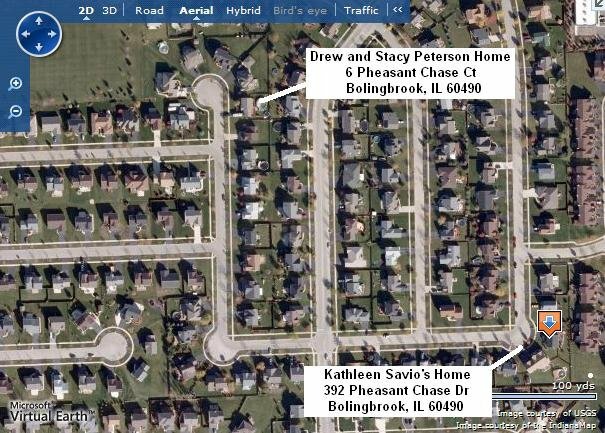 . . and just to go to the "end end" part of the story, those last two conversations, I just again want to get this in, those last two conversations you had with Stacy Peterson on the Wednesday and the Friday before she had disappeared -- again, she was just seeking information for or about a dissolution of her marriage with Drew Peterson. HS: Yes. Yes, she called to discuss divorce issues and the like. RC: And then you not, the next thing you know you hear that she has disappeared. RC: A couple of days later . . .
HS: I found out on Monday. I was in court and my secretary told me, Dawn had told me that "did you hear that this had happened?" RC: Now it's an interesting thing because as you'll recall, ah, the ah, we in the media were a day or two late to connect the fact that we had a missing woman in the southwest suburbs and we already, there's already a well-established case of a missing woman in the southwest suburbs in Lisa Stebic so now we have another missing young woman in the southwest suburbs and theres' pictures of her and we're getting we're getting the picture of her with Drew and as a matter of fact, the first couple of days of reporting they were showing Drew identifying him as her brother, not, not as her husband. And, and there was no connection to the death of this third wife Kathleen Savio. It was about three or four days into this story, it is my recollection, that all of a sudden the Kathleen Savio connection kicked in. Now you knew. You had, there had to be a moment in your, in the back of your mind, Harry, that was chilling. HS: Whew. . . certainly when I got the information in court, um you know, it was in the front of my mind, so obviously I said . . .
RC: Before she had died. Before Kathleen Savio had died when you got the . . .
HS: No, no when I got the information from my secretary Dawn in court when she called and said that there is a report out there that Stacy Peterson is missing and certainly that was, you know, it was a very odd feeling and I, you know, just said who am I supposed to contact because the police had a number out there and you were able to, they asked you to contact that number, so I did immediately. RC: Alright. Alright. Harry, thank you very much. RC: Appreciate your, ah, ah, your honesty and your diligence in this. And again, we've had a ton of calls, people asking, now all this information you shared with us has already been shared with investigators. RC: Alright. That's a very important thing. But it's the first time that we're hearing about it in the media, so thank you for doing it.